For locals, Vancouver’s picture-postcard reputation and its public-planning triumphs do little to salve the fact that it has one of the highest costs of housing per capita in the world. It also has a serious issue with social alienation; a recent Vancouver Foundation report named lack of connection and engagement as citizens’ number-one complaint about the city. 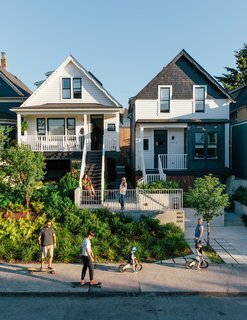 And as heritage homes are routinely destroyed for lot value, Vancouver is starting to embrace its history while carving out a new identity for itself.